Who doesn't like a nice jar of spicy apple jam? The only thing I actually tried to follow was that for every liter of cubed apples I used approximately 250g of sugar (maybe little less, because that seemed like A LOT of sugar). 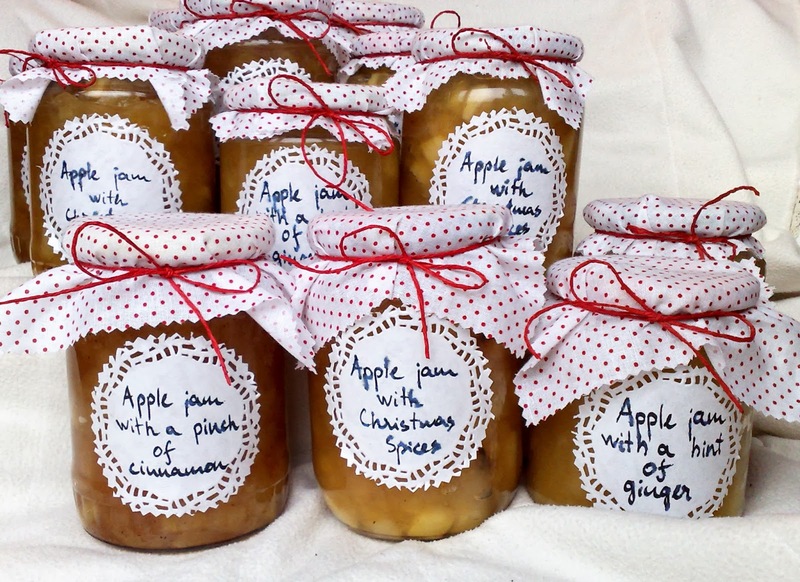 Start with peeling, coring and chopping the apples into cubes. Place into a large pot, pour the sugar over the apples (don't mix), cover the pot and let sit over night. This helps the apples to release their own juices so you don't have to use any water to make the jam. This makes the taste more concentrated. The next day put the pot on medium heat and let simmer for 10 minutes. Add the spices and let simmer for another 10-15 minutes, mixing occasionally. 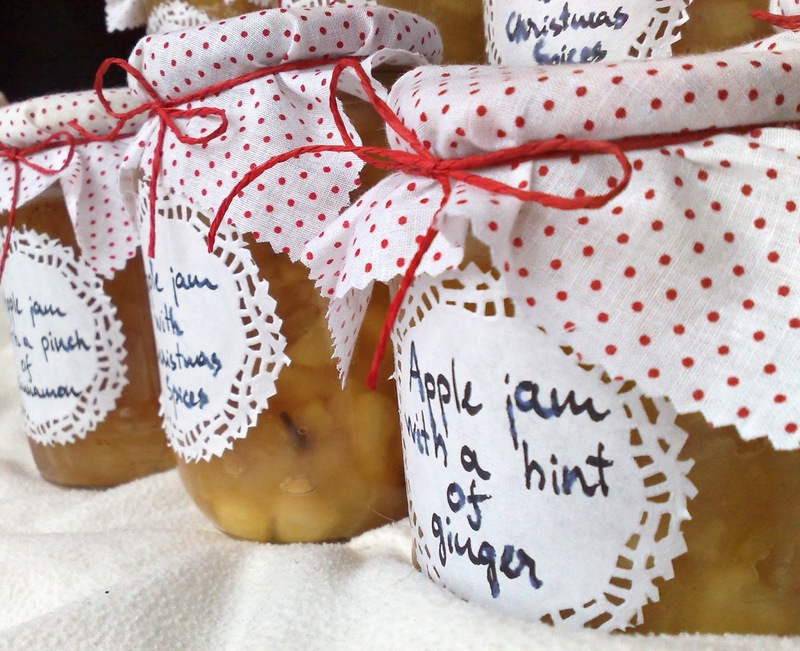 While the jam is simmering prep your jars and lids. 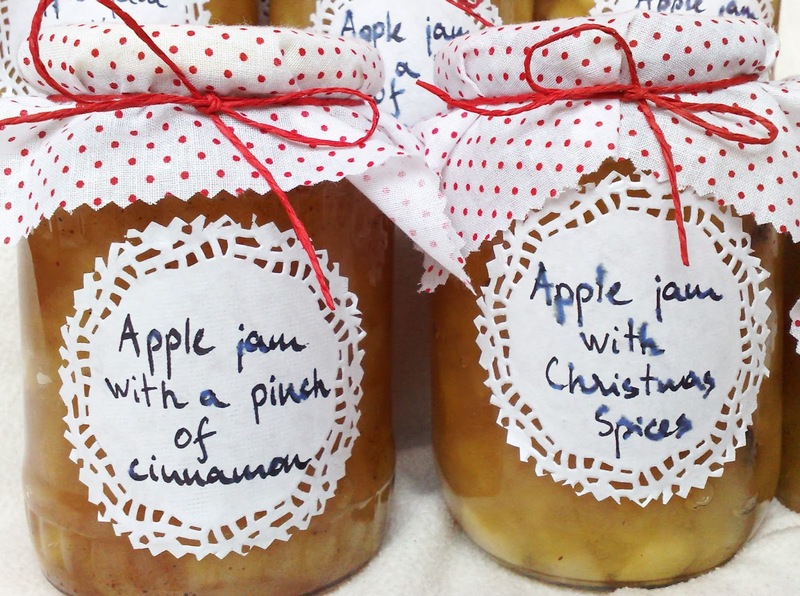 When the jam is ready and your jars are prepped it's time to fill the jars and put the lids on immediately while the jam is still hot (be careful not to burn yourself). this makes sure the lids will be airtight. 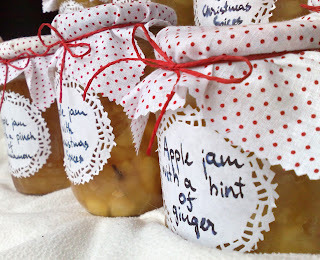 When the jars have cooled, it's time to make the labels and decorate the jars (this part is optional of course, but for me it makes the jam even more special). 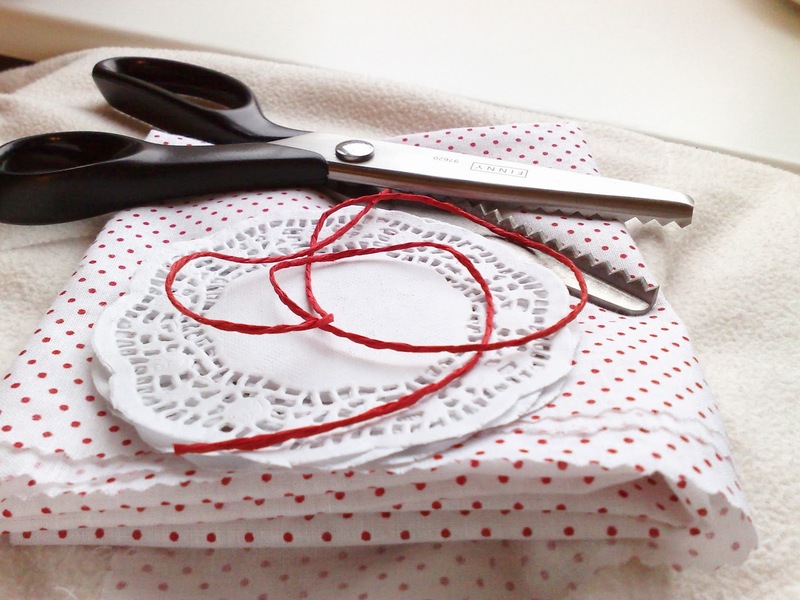 I used some little doilies, white fabric with little red polka dots and some red yarn. 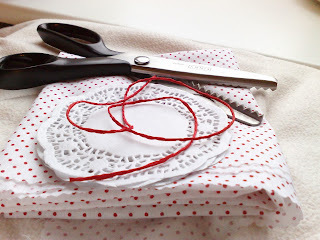 the doilies were too big so I cut them a bit smaller with these scissors with a zigzag edge, I also cut the fabric with the same scissors.